For those that don't follow my blog regularly, I'm part of a '10 on 10' blog circle of photographers from around the world. Each month we post ten photos of something happening in our daily lives. Be sure to keep the blog circle going by visting California photographer Heather Floyd's link at the bottom of this post. I've been playing around with different lighting techniques and decided to include a few recent samples in this month's 10 on 10 post. Lighting is always on my mind. I read about lighting, I study lighting in famous photographs, and I chase the best light I can in my own photography. Great light is everywhere! It's not uncommon for me to take a moment to admire beautiful light...how it shines through a window, or how the sun falls between the trees. While studying various lighting techniques, I've noticed that many famous portraits are made with just the right ratio of light and shadows. I think a black and white portrait illustrates this perfectly. In Gregory Heisler's book, '50 Portraits', he says "the True Secret to Lighting is this: learn to work with one light. Explore and understand it; discover what it can (and can't) do". So here I am experimenting with one light. 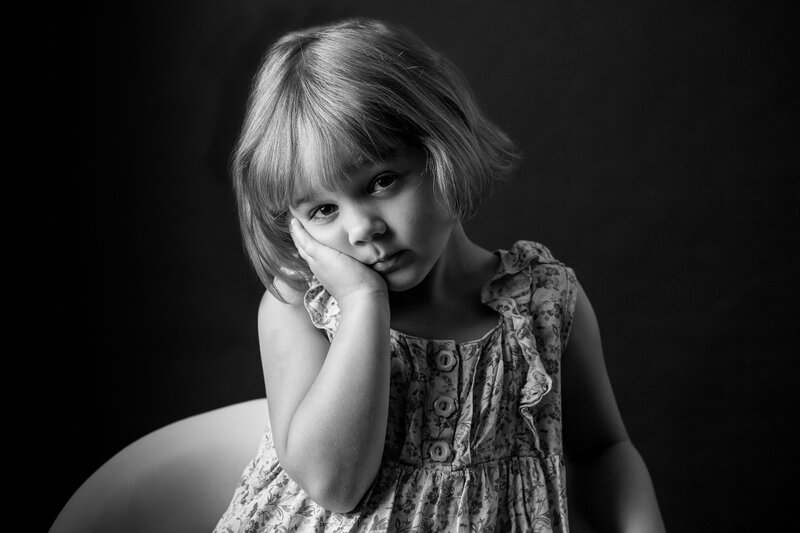 In this case, I've selected a few black and white portraits of my girls. One light, camera left, slightly feathered. I've learned what I like about some of these images, and better yet, what I can improve. Welcome to my quest for better light! Now go see what Heather Floyd of Floyd Family Photography is up to this week. She's a photographer out of Placerville, California and you can access her June 10 on 10 post by clicking here. 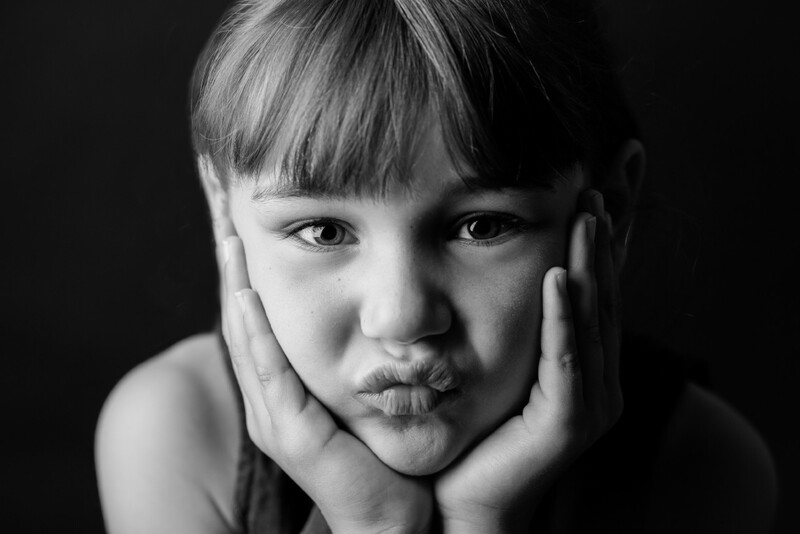 Leeana - These to girls are so cute and expressive. I think you did a great job with the lighting in these ones. They are even better because they are black and white!